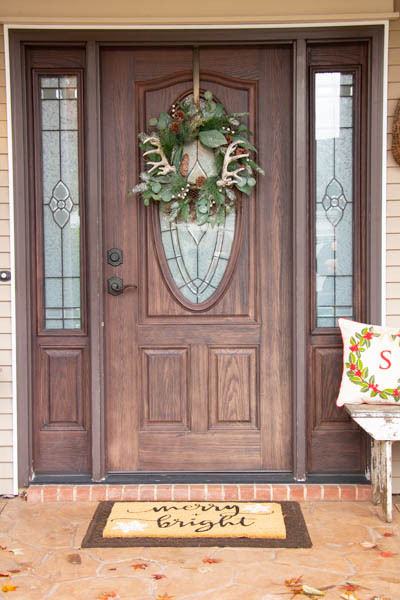 I started off with this already beautiful wreath from Kirkland’s, click here to shop! 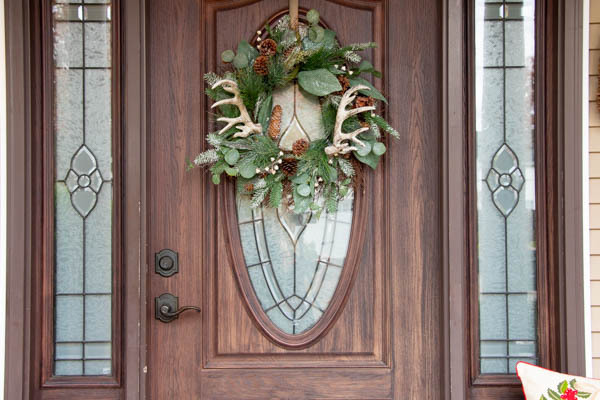 and then I added (2) of these cute antler’s to the wreath for a fun twist to the classic style. 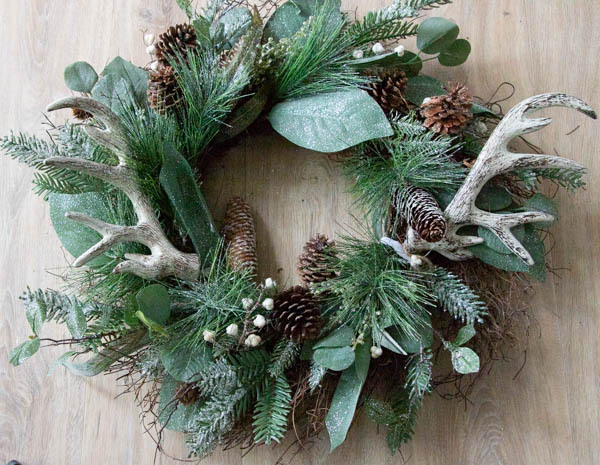 Just add some floral wire around antler to help keep it in place on wreath. Once, I had my wreath pulled together I took the wreath and cute Christmas door mat and headed over to Deborah’s house (yes another Deborah) to start her Christmas porch decor. Then the cute door mat and of course we pulled out a few of her Christmas items to jazz it up. I’m so glad that even though my porch was not ready to share with you, I had a beautiful back-up porch that I could not only photograph and share the new products from Kirklands, but also can gift them…because like me Deborah is also a fan of Farmhouse decor. 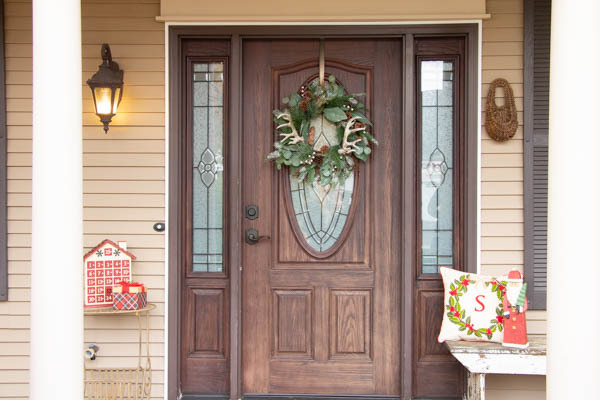 The festive decor will certainly greet her guests this year with cheer.